Now in its 20th year of publication, Putting on the Brakes remains the essential go-to resource for kids, parents, and professionals looking for tips and techniques on managing attention disorders. 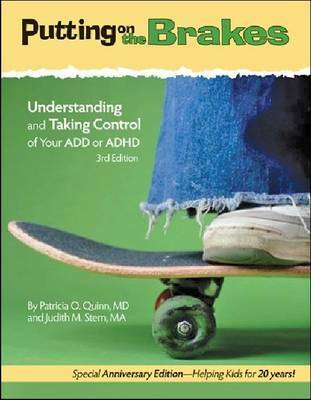 This third edition is updated and revised throughout with the latest info, resources, medication types, and glossary terms on ADHD. Written by two nationally recognized ADHD experts, Putting on the Brakes is loaded with practical ways to improve organizational, focusing, studying, and homework skills and contains more strategies for making friends, controlling emotions, and being healthy. This book gives kids with ADHD the tools for success in and out of school and helps them to feel empowered to be the best they can be.